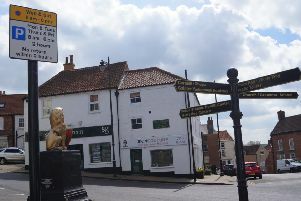 Regular traffic delays on Brigg’s inner ring road through Barnard Avenue could set to be a feature of the past. North Lincolnshire Highways is installing modern high tech traffic lights which respond more accurately to traffic flow. Town councillors have repeatedly asked in recent years for the system to be looked at, with other suggestions being to have the four sets of lights reduced in number. Long tail backs, particularly at school arrival and leaving time, have been a feature from the Atherton Way junction through to the War Memorial roundabout. The new system uses sensors which monitor traffic progress and the lights respond accordingly. The new sensor and light respond system is known as MOVA (Microprocessor Optimised Vehicle Activation) and the lights can respond to information fed in from the sensors on how busy a junction is. Proposals for the new system to be introduced were released in November of last year.